If you’re interested in purchasing real estate in Cabo San Lucas, you may have a few questions. For example, how popular is real estate in Cabo? Is it a competitive market? What will the landscape be like if you ever decide to sell your property? Will your investment increase in value as it would in the United States? It makes sense to mull these questions over. After all, it’s fairly easy to understand the market in which you live, but it’s another thing entirely to understand the market in another country. Having made the move from California to Cabo myself—and having worked in real estate in both places—I’d love to tell you a little bit more about the market from my perspective. How Popular is Real Estate in Cabo San Lucas? I’ve talked previously on my blog about how to buy property in Cabo (when you’re an American). I’d like to further that conversation to discuss what happens during and after you buy property in Cabo. As in, are you making a good investment? Will your property value continue to increase? Will it be similar to purchasing real estate in the United States? There are many benefits of buying in Cabo, one of which is the comparatively low cost of purchasing property in Mexico. In general, real estate is less expensive, as are predial rates (Mexico’s version of property taxes), and cost of living. Yet, the market is relatively similar to the overall market in the United States. There was a dip in the economy after the crash of 2008, and it has been steadily increasing ever since. Is Cabo’s Market Similar to the United States? The reason for this similarity is that most of buyers in Cabo San Lucas are from the United States and Canada, with a few trickling in from other places. It makes sense then that the demand for real estate increases as North Americans become more affluent, and decreases when North Americans are under strain. This, of course, is also influenced by further development in the area. Will Cabo continue to be a popular tourist destination? 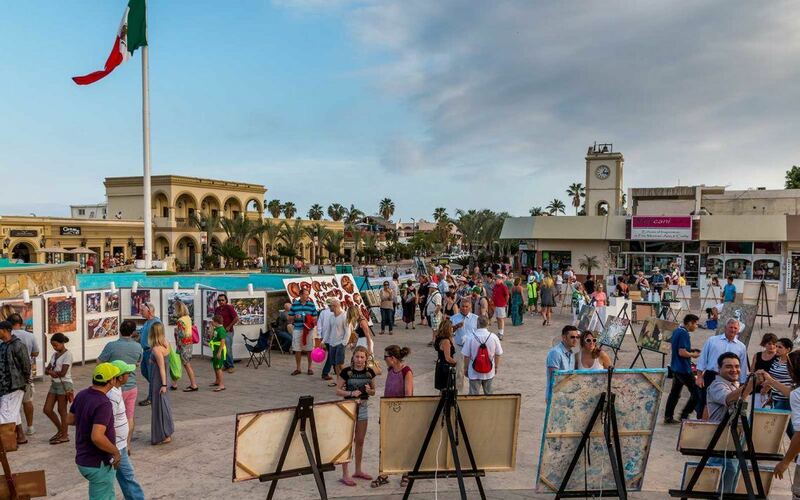 Will there be enough infrastructure to make purchasing in Cabo a viable option? Investors seem to think so. In recent years, several large developers have invested in Cabo San Lucas by purchasing land for residential and commercial development. Always a good sign when you want your property value to increase. Another thing to take into consideration is the fact that if you are purchasing real estate in Cabo San Lucas, you are purchasing real estate in a tourist destination. Most individuals living in the United States do not live in a tourist destination, so it is much more difficult to receive a return on your investment beyond the fact that you and your family get to live there. In Mexico, however, you have the opportunity to rent out your property to vacationers for a return on investment of 8.5%. That means that if you purchase a condominium for $200,000, you’ll be turning a profit of roughly $16,850. Not bad at all. Of course, I’d love to help you learn more about real estate in Cabo San Lucas, as a real estate agent living here full-time, that is what I do after all. Give me a call so we can talk shop. Was looking at property in cabo last week. Was thinking about investing w a friend in one of the big developments. Would be purchasing a condo that is not built yet. The area has had a lot of growth in the past two years and there are so many properties being built that im wondering if i’m depending on rental income. Will the demand for renting out condos continue to be in demand? I also have concerns politically because of elections this summer. Just a few things to think about before pulling the trigger. Also was wondering what your input is on renting a property out with no ocean view? Me and my partner have a budget og $270,000 and doesnt seem like you can get a view anymore at that price? Thanks for your input. Dianne B. Thank you for your inquiry on my Cabo real estate blog. I have seen a lot of growth recently. Please realize there is a tremendous amount of planning and analysis that goes into each project. The developers would not be building unless they are sure the project will sell. As development increases, so does tourism. As a matter of fact, I have two investment properties myself. My condos are located in a popular development close to, but not on, the beach and proximate to restaurants, shopping and nightlife. My rental condos enjoy a nice view but not of the ocean. They are rented approximately 200 days a year. Condos with expansivve ocean views are available within your budget and less. In short, I see no issue with you investing in a rental property in Cabo. You will make money, the question is how much?